Hitting a little white ball around a massive open grass course, may not be most people’s idea of an ideal day out. The frustration, the weather, the required skill, all of these things are factors that can hinder your progress and enjoyment. If you’re anything like us, we spend most of our time zig zagging across the fairway, with little regard to actually going towards to the required hole. Years, we have spent practising, hitting countless dimple filled balls on driving courses and ignoring putt-putt golf in favour of putting practise. 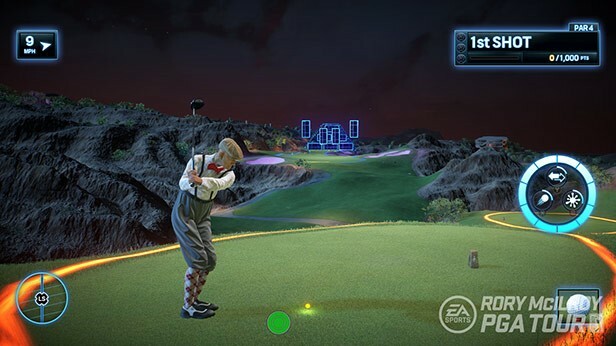 But no more… Throw away those clubs, pick up your gaming controller and get set because Rory McIlroy PGA Tour 2015 is here. 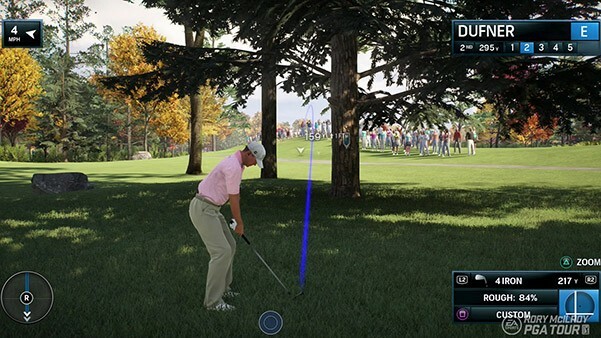 After taking a brief hiatus in 2014, EA Sports’ PGA Tour series has returned with a new cover athlete, a rebuilt game engine (Frostbite 3), and a more flexible approach to its control system. 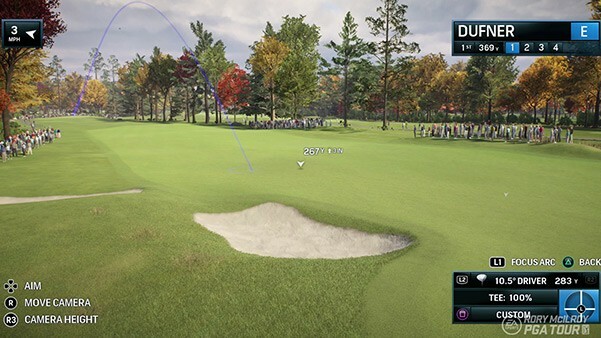 We have heard a lot of discussion surrounding the games features or lack there of, the shallow roster and more,in saying that we’ve found this to be an important first step in rebuilding a series that once dominated the golfing world. Most summations compare Rory McIlroy’s PGA Tour heavily against it’s predecessor, Tiger Woods’ PGA Tour. We think this shouldn’t be the case. 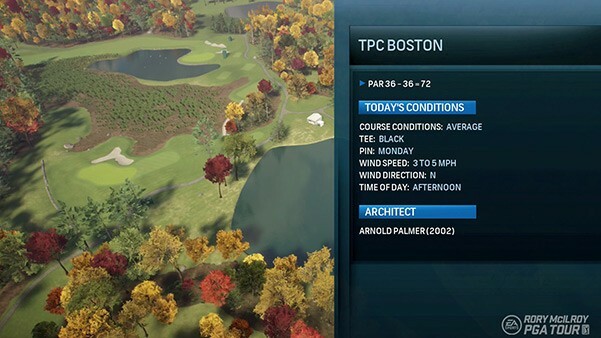 EA are attempting to re-birth their PGA Tour series, with Rory leading the way. 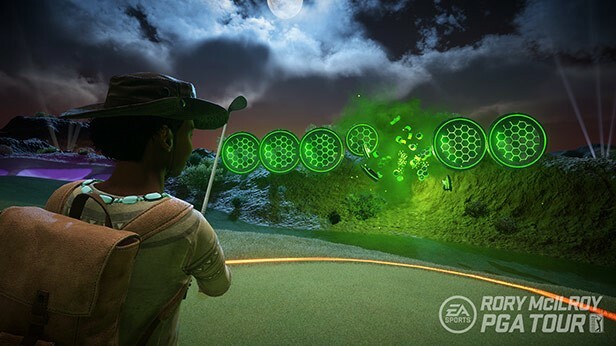 There are a variety of game modes available, these are not as diverse as previous versions, but again this is not Tiger Woods PGA Tour, this is Rory McIlroy. EA will take it’s time to create and craft a series that has it’s own identity. One that doesn’t only sit in the shadow of the Tiger Woods games, but blows them away. This is important, to not only build a great game but also to develop a solid and involved community. Upon entering the game, you’ll quickly notice beautiful backdrops and stunning environments. 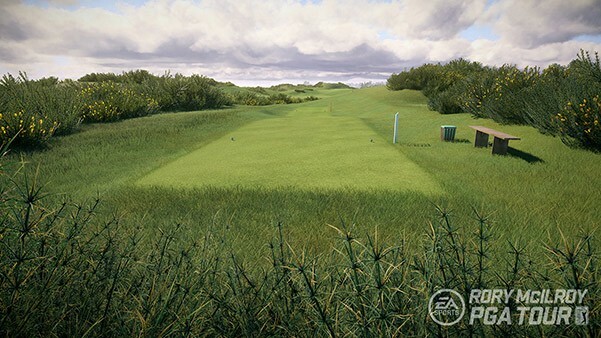 Courses are pre-loaded, which reinforces realistic shots. The potential for a zinger that flies of in the wrong direction, landing on an adjacent hole is very real… Damn it. Loading time between holes have almost been made redundant. Casual and pro fans alike will enjoy the Career mode. Each round offers you a select few holes to play over the 4 days and will average your score out for that day over the 18 hole (quick round). This adds an interesting element to competition, not only rewarding great play, but also punishing you for poorly executed shots. Features in Career mode are light, with create a player offering very basic selections, outfits and clubs that can also be customised. Sponsors will give you items and unlocks as you progress throughout the championship. You are unable to see your players upcoming schedule or the money you’ve won, but after two or 3 rounds this a mute point. For new players a great introductory tutorial is built into the game. 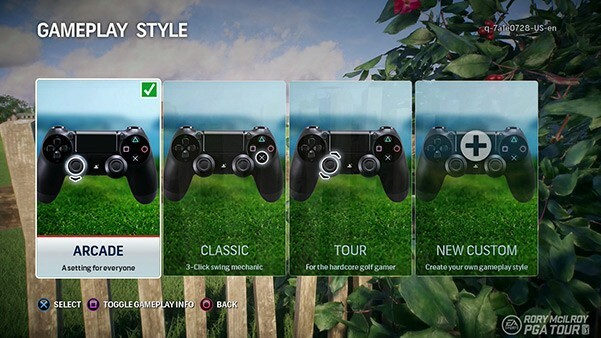 Here you can select from 3 different modes of swing control. I stuck with the 3 button press system, but you could also go with the analog joystick swing or a more advanced version of the analog stick swing. Each and every course has it’s own style and uniqueness, which is a testament to the effort put into crafting each of these individual courses. 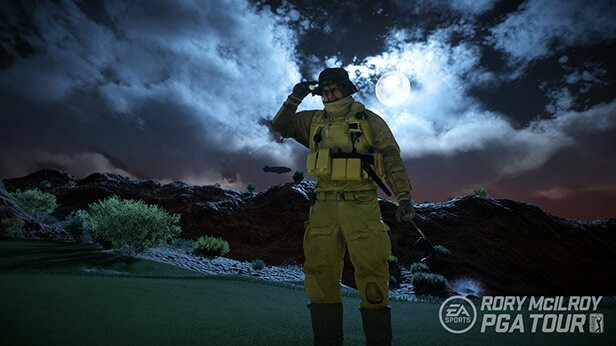 Other game modes and features include fun maps such as the Battlefield 4 Paracell Storm inspired stage, night golf, and extreme stages. 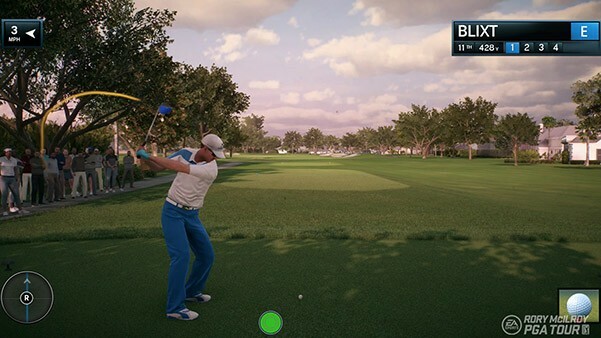 Rory McIlroy PGA Tour is a solid first step in the series redevelopment. 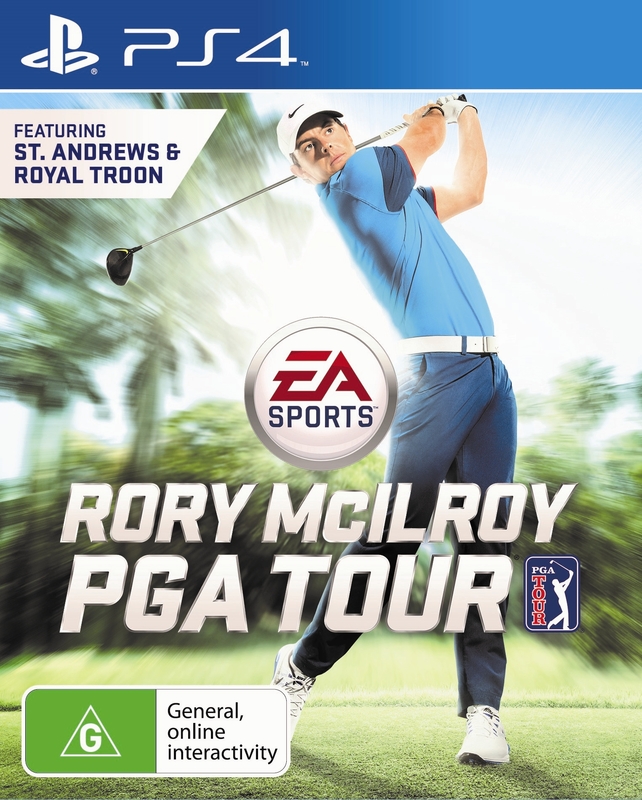 You can pick up Rory McIlroy’s PGA Tour, in stores now! We rate Rory McIlroy’s PGA Tour 7.5 broken controllers out of 10!